For some people they have constant anxiety, for others the anxiety is worst in the morning. Waking up and feeling that heavy cloud of anxiety and you feel like your day will just go down hill from there, and for others the anxiety hits in the evening - i am one of those people. You can live your life and you feel like your day goes ok, but then suddenly evening time arrives or you are lying in bed and thats when the anxiety hits you, like walking into a brick wall. An anxious feeling and it can feel like a crawling under your skin combined with a panicked feeling or wanting to creep out of your own skin. 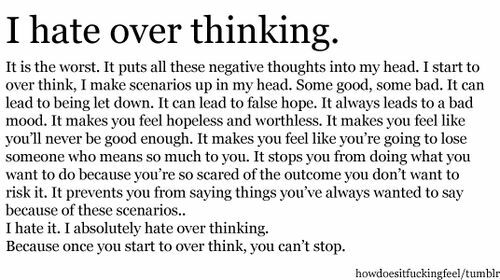 Or just feeling overwhelmed by thoughts and negativity and you cant quite escape your own thoughts or your own mind. For me, the evening anxiety has lead to sleepless nights and almost insomnia. I can live my life and my day goes ok and i dont feel anxious but when it comes to evening time, then the anxiety takes over and i have realised it is due to my thoughts. I begin thinking too much, begin thinking about my day, the choices i made, what the future awaits, the past.... and i can even start getting anxiety over choices i made 5 years ago or feel anxious over things i did years ago, and then i begin thinking about the future and the unknown and then my anxiety just goes crazy. But its just thoughts and unnecessary worries and fears... all that anxiety does is make me worry unnecessary and takes away peace, calm and happiness from the present moment. During evening time you usually have more free time and you can begin thinking. And if you have faced certain fears or done things that have scared you it is easy to begin over thinking those choices, such as if you went out to eat and you choose a burger instead of your usual salad and then you begin thinking about that and you feel guilty over the fact that you didnt choose a salad when you could have.... and that is something very silly to feel guilty or anxious over, but also to feel anxious over a choice you made several hours ago.... it isnt helpful to anyone or anything. Instead you need to try to control your thoughts and distract yourself. Anxiety is just a feeling and thoughts, even if they are overwhelming, they wont harm you. You CAN sit with the anxiety, it is tough and you worry and panic and just feel uncomfortable but it passes. Instead it might be good to try to talk about the anxiety or write down when you feel anxiety and if you know what is causing it.... such as what thoughts are making the anxiety worse? Trying to determine what makes you anxious and then thinking rationally or finding someway to make those thoughts less anxiety provoking. Also having distractions is good, for example lately when i have been feeling anxious during the night and havent been able to sleep. Instead of just lying in bed and lying there and thinking and feeling anxious, I go up and i make myself some tea and watch some netflix until i feel tired or i write. 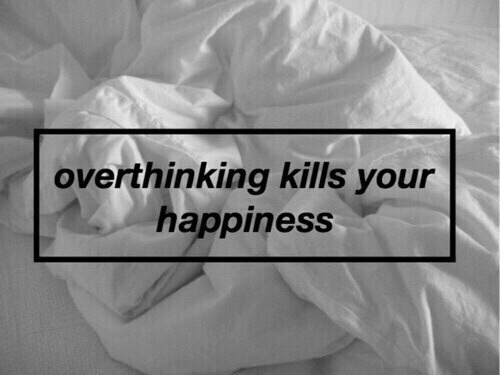 And that distracts me and makes me feel less anxious, but if i just lie there and think lots i get stuck in the anxiety bubble and then i get stressed because i am not sleeping and that leads to more anxiety and even less sleep... but if i instead try to break free from that bubble then the anxiety decreases and passes. So find some way to distract yourself and get out of your own mind and your thoughts. Such as can you talk to someone or call a friend? Or maybe you have a book or series you can read/watch. Or maybe you can do some baking or scrap booking or colouring. Or writing, drawing, painting, listening to podcasts etc all of those things can be helpful. Trying to lessen the anxiety by knowing what causes your anxiety but also distractions. It can also help, if you know that you are doing something challenging and know that you will get alot of anxiety in the evening, then maybe ask someone to spend the evening with you or maybe you can have someone you can call. Sometimes the worst thing is to be alone when you feel very anxious, but instead have someone who can comfort you. Other things you can think about are, how much caffeine you consume each day (caffeine can lead to anxiety and stress) but also how stressed you are. Stress can also lead to panicked and anxious feelings. Try drinking some tea, try some form of meditation (there are lots of different types... for me personally i do "active meditation" where i walk or move as i cant just lie still and try to meditate, but for others that works better and they can much easier relax and just focus on the meditation), and either write your thoughts or talk to someone. What works for people is different for everyone. But try some of the tips mentioned and know that you need to try to change your thoughts, break free from the anxious bubble you get stuck in. And if necessary, there is medication for anxiety (this is something i have considered renewing my prescription on, but ill see whether the anxiety lessens when i start university, if it doesnt and it gets worse i might renew my medication so that i dont have to feel the constant evening anxiety and be able to finally sleep properly). hello izzy, i hope im not bothering you but i was wondering...can you actually build muscles by doing cardio? and if so, how much do you have to eat then? in the last six months i lost quite some weight, unfortunataly a lot of it were muscles (i wanted to lose fat, went low-carb, relapsed... stupid :/) and i'd like to get them back, im feeling physically weak aaaall the time and walks that would be a piece of cake before are making me tired and im really missing my strong legs...problem is i love cardio and dont want to give it up but also from experience eating more PLUS cardio make me bloated and give me horrible water retention :D thank you! No you cant.... building muscle comes from strength training or some form of resistance training. Either using body weight or extra weight. And building muscle and gettng your strength back means 1) strength training and challenging yourself, 2) less cardio, 3) rest, 4) lots and lots of food, 5) enough rest. If you arent eating enogh you definitely shouldnt be doing so much cardio, but in general lots of cardio isnt necessary. The fact that you are tired and bloating alot is a sign that you are stressing your body and doing too much exercise. I wrote a post yesterday about exercise and i realy think you should read that and consider about your relationship to exercise, because not being able to give up cardio isnt good. If you want to get stronger it means strength training, food and rest.. If you do lots of cardio it will just tire you out and tire your legs, sure it gives you good endurance and resistance and some sort of strength but if you do cardio all the time you wont feel that strength you will just feel tired. Increase your food, focus on your mental recovery, rest and get back to exercise when you are mentally and physically healthier. Actually you can build muscle without lifting weights if you eat MORE calories than ur body is spending as energy. some of it will (over time) become fat but parts of the weight gain will also be muscle. For the record, I am not trying to correct you, izzy, cause you are not wrong with ur answer :) just wanted to mention it. About the anxiety - I find listening to a relaxation cd very helpful. I put my headphones on so I don`t get any other distractions from around me and it works a treat. There are many different inexpensive cds you can buy. This, coupled with a mug of warm milk works well for me.